Dark Mofo organizers don’t sound especially happy about the change, with creative director Leigh Carmichael telling reporters, “We are extremely disappointed by the last-minute cancellation of the Savages Australian tour,” adding that many of the attendees at the festival—which started yesterday and runs through the 21st—were coming from out-of-(Australian)-state to see the show. He also told attendees “Don’t let the fuckers get you down,” suggesting either that feelings at Dark Mofo are running pretty raw right now, or that Carmichael just wanted to live up to all our uninformed ideas about how Australian music festival directors talk. Still, there is a bright side to the cancellation: when asked about a replacement for the Silence Yourself band, Carmichael responded by saying, “We are excited to announce that joining the festival will be much-loved, rarely seen in the wild, Melbourne rockers Eddy Current Suppression Ring, supported by psych-rock collective King Gizzard & The Lizard Wizard, and multi-instrumentalist JP Shilo, founding member of Hungry Ghosts,” which might be the most amazing sentence we’ve ever read. 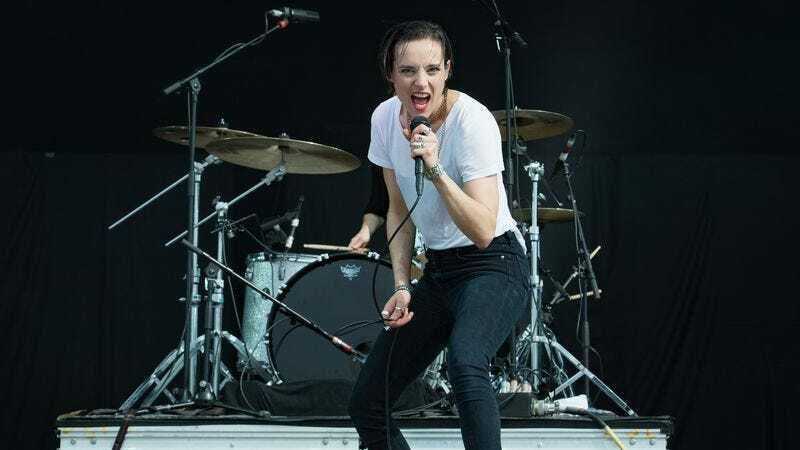 In brighter days, we’d probably make some joke here about how Savages probably canceled the shows because they wanted to bring their dogs on tour, and refused to kowtow to Australia’s restrictive animal import laws. But the recent ugliness surrounding the Johnny Depp-Amber Heard divorce has taken all the fun out of our dog-smuggling speculation. Alas, alas, we can only pine for better times, and the warm embrace of Lizard Wizards and their Hungry Ghosts.